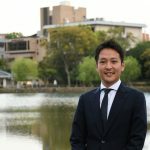 Nara city is the most historic and spiritual center of Japan, where Buddhism first flourished and the first capital city was built over 1300 years ago.Besides, Nara city abounds in nature.We would like to introduce 5 highly recommended things to do in Nara city that are guaranteed to enhance your travels! Japanese sake is getting popular worldwide.In old times, sake was made at shrines and temples in Nara to dedicate to deities.One of them is Kasuga Shrine, a UNESCO World Heritage site in Nara Park. Techniques in the brewing process improved at temples in the Muromachi period (1336–1573). Especially, Shoryakuji Temple in Nara city developed the technique to make a refined and clear filtered sake and was highly esteemed by people of that time. In our modern day, sake breweries have been taking over its techniques of brewing refined sake. That’s why Nara is said to be the birthplace of Japanese refined sake. Now, there are almost 30 of sake breweries in Nara Prefecture. Some started business over 300 years ago. Some still specialize in handcrafted sake. Some welcome visitors to their breweries or shops, and offer sake tasting and tours. In Nara city, there is a few of sake breweries. One of them is Imanishi Seibei Brewery, established in 1884, is located in 15 minute walk from Kintetsu Nara Station. You can try paid sake tasting with guidance.Besides the sake brewery, you can taste sake at some sake stores. One of them, Nara Izumi Yusai, is located10 minute walk from Kintetsu Nara Station. This Nara’s sake-specialty store covers over 120 varieties of sake of 28 sake breweries in Nara Prefecture. Always crowded with travelers and locals who love sake, the store has the standing bar, where you can try Nara sake tasting with between 200 yen and 600 yen. Often chat with the cheerful shop owner and people standing next to you. Bet you can find your favorite sake. If found, of course, you can buy some to bring them home! Hiking in Mt. 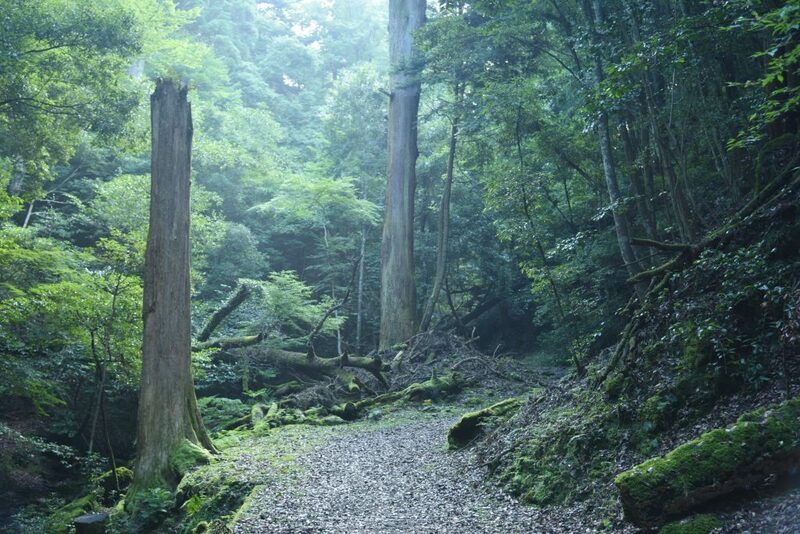 Kasuga Primeval Forest is one of the most attractive experience in Nara. Mt. Kasuga Primeval Forest is located in behind Kasugataisha Shrine and very easy to access from JR or Kintetsu Nara stations. You might be surprised that there is still remained magnificent natural landscape in central area.It has remained untouched for thousands of years and has been carefully protected as the sacred forest of the Kasugataisha Shrine. As both logging and hunting have been prohibited since 841, there is a rare ecosystem with over 800 types of trees, wild animals, rare birds and insects.The hike provides a rare opportunity to walk amongst the 300 year-old Japanese cedar trees. Takisaka-no-Michi path, one of the famous hiking courses in the primeval forest, pass a waterfall and small caves carved with Buddha figures. It was said a training path for monks in Nara and you will see the object of faith on the way. If you choose other path, you can climb up to Mt. Wakakusa for spectacular views over the city.There are some hiking courses such as 2 hours or 6 hours for going around. Please choose suitable one for you depending on levels of abilities.It is also possible to drive along the Nara Okuyama Driveway which snakes across Mt. Wakakusa and looks out over the forest expanse. Todaiji temple (“Great Eastern Temple”), a landmark of Nara, is one of the most famous and historically significant temple in Japan. This temple was constructed in 752 as the head temple of all provincial Buddhist temples of Japan. A symbol of Todaiji temple, the gigantic bronze statue of Buddha is sitting in the Daibutsuden (Big Buddha Hall) which is the largest wooden building in the world.The statue of Buddha has 15-metre (49 feet) high and around 500-ton weight.Emperor Shomu decided to construct a huge Buddha statue to an attempt to bring peace and security in the capital in 743.Around 2.6million workers are gathered from all over Japan to construct the statue, and it took around 9 years to complete. Nara park are considered sacred in connection with the Kasuga Grand Shrine. 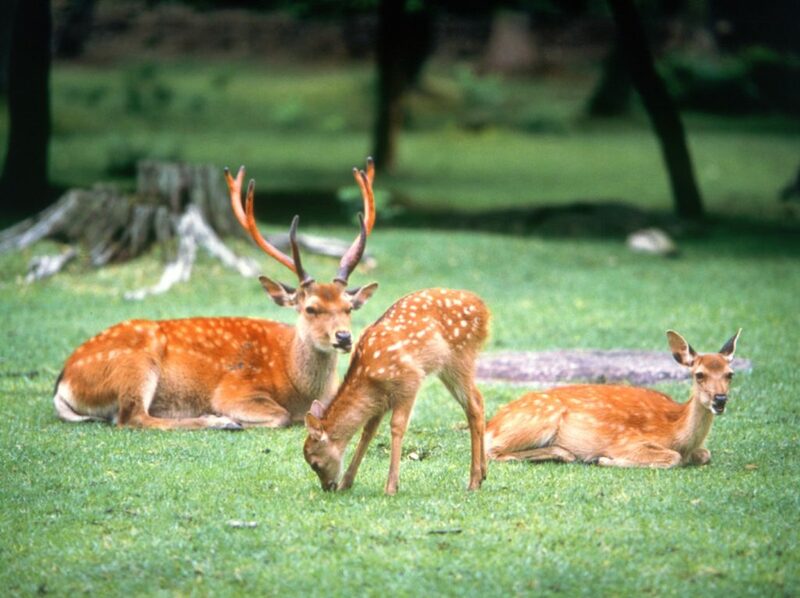 Considered in Shinto, messengers of the gods, Nara’s around 1200 deer have become a symbol of the city. Nara’s deer are surprisingly tame, although they can be aggressive if they think you will feed them. Deer crackers are for sale around the park, and some deer have learned to communicate with visitors such as taking a bow to ask to be fed.If you travel around Kansai, don’t miss visiting Todaiji and Nara deer park! The old residences of artisans and merchants remain as Naramachi, a tourist destination.Located in the south of Sarusawa Ike Pond, Naramachi is an ideal district to stroll around.Surrounded by many well-reserved remnants since the Edo period, you can spend your time at atmospheric cafés, restaurants, galleries and shops. In most shops, you will find wide varieties of goods related to deer, Nara’s symbol.Besides, there are multiple options for people who are interested in Japanese culture such as Japanese sake, traditional architecture and time-honored temple. 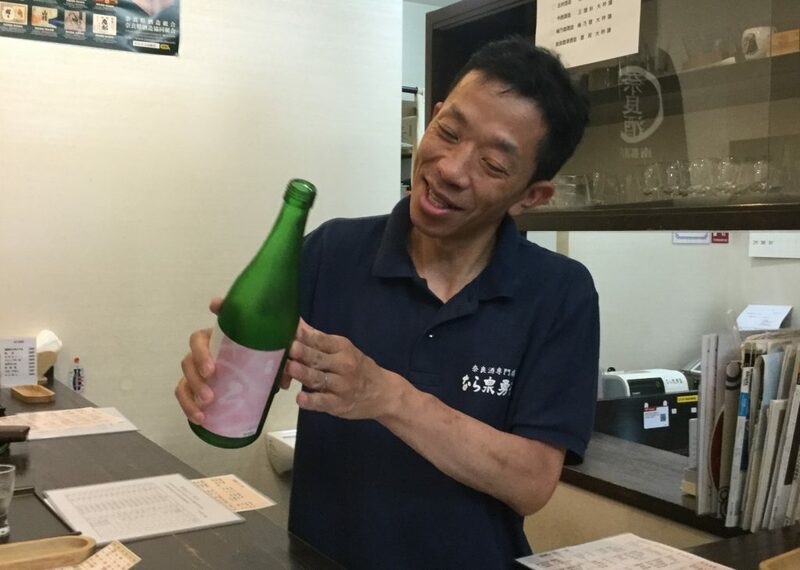 In a traditional sake brewery, Imanishi Seibei Brewery, you can do sake tasting. In Naramachi Koshi-no-ie, or Koshi-no-ie lattice House, find wisdoms in Japanese way of living in traditional Japanese wooden house. In Gango-ji Temple, you would be stunned that the 6th century-made tiles are still on the temple’s roof. In the east side of Naramachi, you can enjoy the Japanese garden, Scenic Heritage Daijo-in Temple Garden. Built in 1087 and restored by one of the greatest gardener in the late 15th century, this landscape garden with pond has been providing visitors a relaxing place. 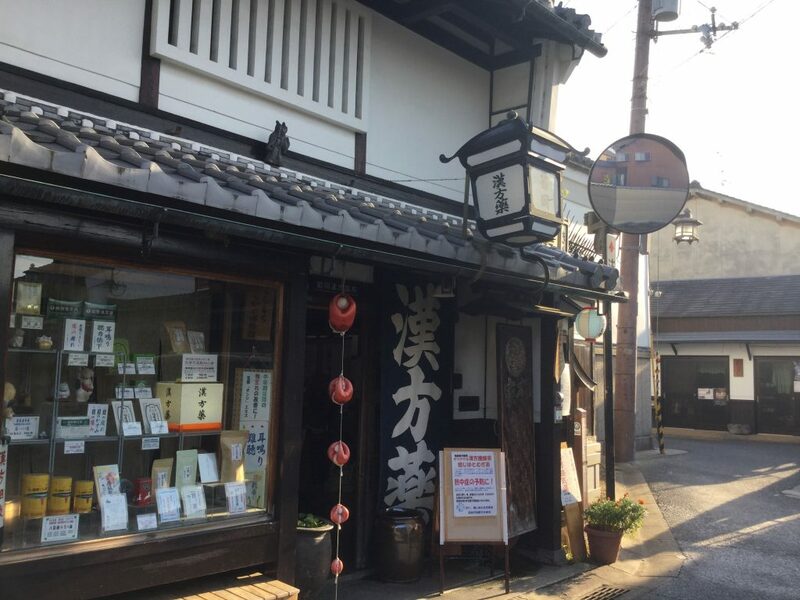 Or, you can drop in on a traditional medicine specialty pharmacy where has been by the 24th generations.Naramachi has more to attract locals and travelers. Explore Naramachi in deep, and you’ll find your favorite spot! Tenpyo culture flourished during Nara period (710-794).The Heijo Palace, built at the center of capital in Japan, served as the site of the emperor’s residence and government offices durig most of the Nara Period. After the capital was transferred to Kyoto, as time passed, the ancient capital was covered with soil, unfortunately. The site of Heijo palace has been started researching since 1852. As the research progresses, a lot of Excavated Articles came out. 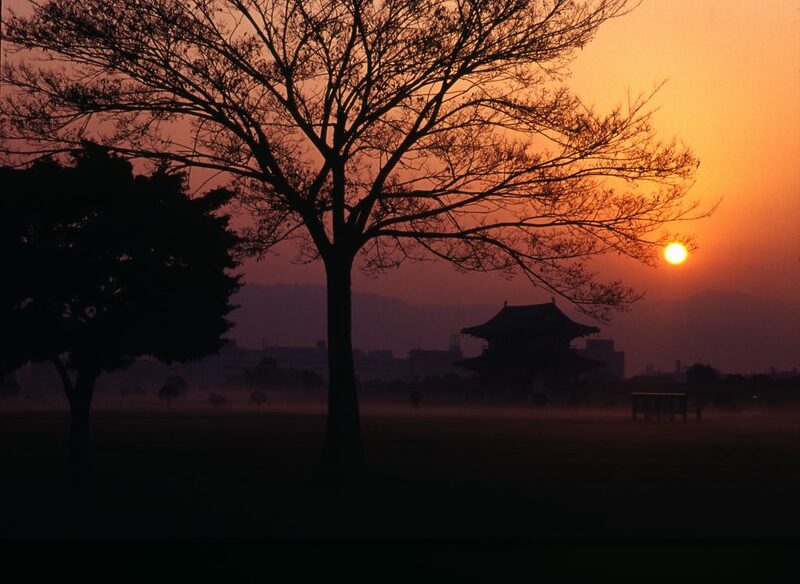 For its great historical and cultural importance, the palace site is included as one of the UNESCO World Heritage Sites of Nara. Nowadays, Heijo palace site are restored as below. The First Daigokuden was used for the important ceremonies, such as the enthronement of Emperors and welcome receptions of foreign delegations. Suzakumon is the main gate to Heijo palace. When the delegates from overseas, traditional welcome ceremony, Utagaki dancing and singing were held in front of this gate. Heijo palace is not only place of sights but also place for Japanese food, activity and experience of rural cultural at Tenpyo Square! Nara has more attractive and exciting place at middle and southern in Nara. We will update things to do there soon!